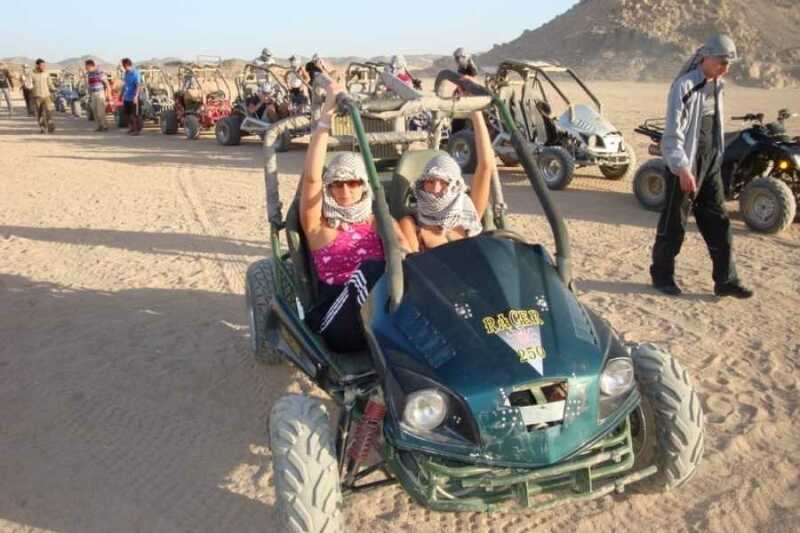 Safari Trip Available every Day from 14:00 & 15:00 pm until 19:30, Private tour includes Pick up service from your hotel and return by a/c coach, Desert Safari tour guide, Test drive before the tour starts, Car Buggy - one for 2 persons, Camel ride in the desert Panorama view of Hurghada and Sunset view, Barbeque dinner with mineral water and soft drinks and All taxes & service charge, Tour excludes Any extras, Tipping, Personal expenses and Optional activities. 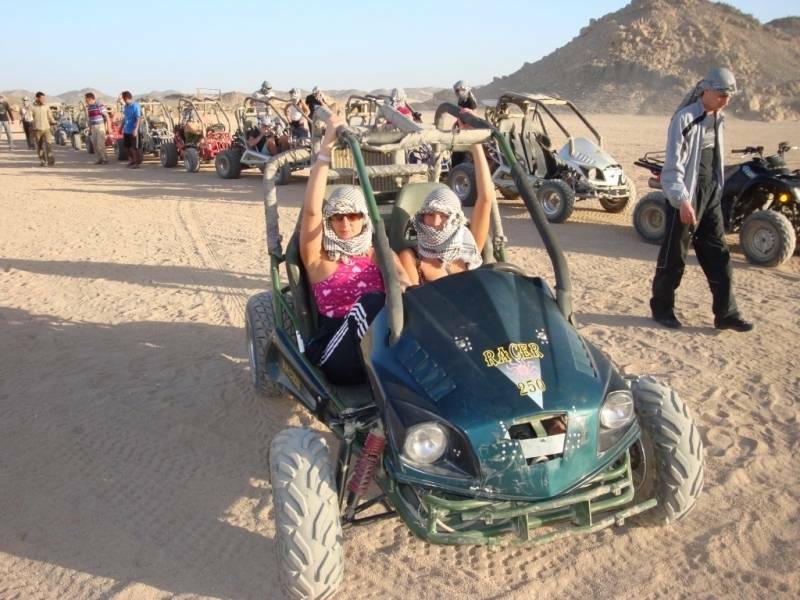 After pick up at your hotel, you will learn how to drive a Car Baggy before setting out across the desert to a Bedouin village. Learn about the culture and traditions of the desert before taking a camel ride to see the desert sunset. Enjoy a Bedouin barbeque before driving back to your hotel. You will be picked up from your hotel in Hurghada to the Car Buggy station for test drive and then driving 35 km to the Bedouin village for a tour to know about their life, traditions then you will ride a camel and witness the amazing sunset view with barbeque dinner, mineral water and soft drinks included then you will enjoy the oriental show and folkloric songs, watching stars by night while driving back from Bedouin village to your hotel in Hurghada. The tour starts between 14:00 and 15:00 but not usually. It subject to change according to the supplier schedule and timings.